Here are the details for the next book talk for Walking Inside Out: Contemporary British Psychogeography which is out now and available to buy. Click here for all the details: Rowman and Littlefield International. 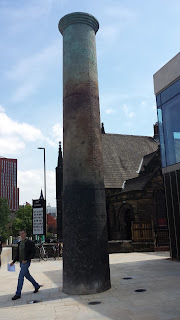 Tina Richardson is an academic and urban walker who lives in Horsforth, Leeds. Her new edited volume has just been released and the contributions are from a multitude of perspectives, such as a creative non-fiction chapter about a daily dog walk, to a semi-fictional essay on walking in Odessa. 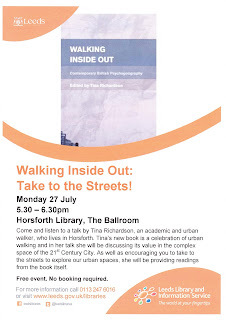 Tina’s book is a celebration of urban walking and in her talk she will be discussing its value in the complex space of the 21st century city. As well as encouraging you to take to the streets to explore our urban spaces, she will be providing readings from the book itself. 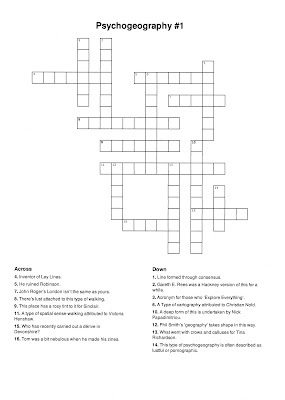 Here are the answers to the crossword: click here. 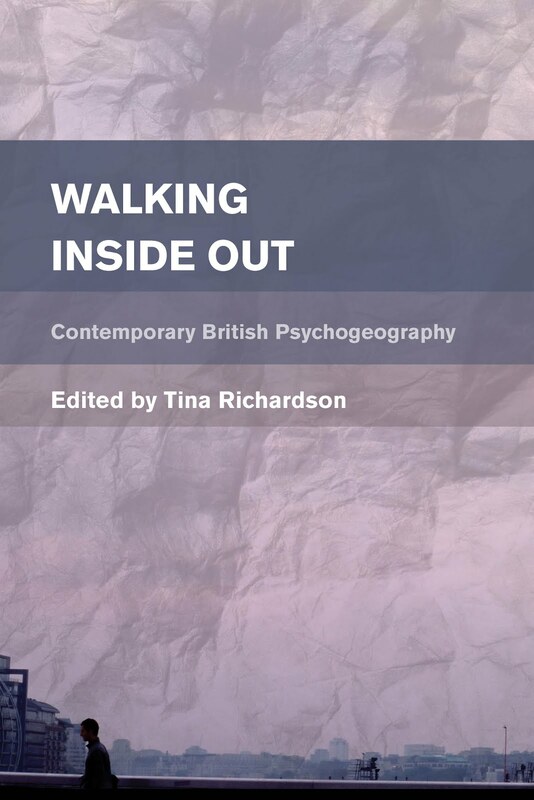 Walking Inside Out is the first text that attempts to merge the work of literary and artist practitioners with academics to critically explore the state of psychogeography today. 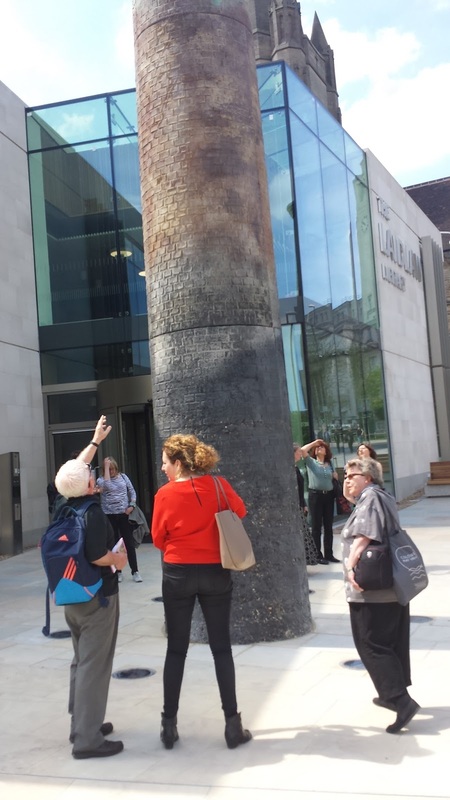 The collection explores contemporary psychogeographical practices, shows how a critical form of walking can highlight easily overlooked urban phenomenon, and examines the impact that everyday life in the city has on the individual. Through a variety of case studies, it offers a British perspective of international spaces, from the British metropolis to the post-communist European city. 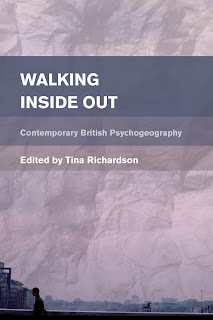 By situating the current strand of psychogeography within its historical, political and creative context along with careful consideration of the challenges it faces Walking Inside Out offers a vision for the future of the discipline. It is part of the Place, Memory, Affect series of books. Below are the endorsements for Walking Inside Out: Contemporary British Psychogeography which will be out soon. For an overview of the book and a summary of the chapters, please click here. Richardson’s book testifies to the richness and profusion of British urban walking today, by turns serious and light-hearted, intensely focussed, and freely rambling. More than armchair philosophy, these essays—by a motley rabble of loiterers, strollers, academics, writers, agitators and wastrels—make me want to depart my desk and head out into the city, leaving all maps behind. Will Buckingham, School of Humanities, De Montfort University. I read this book in a single sitting, flying from Singapore to London. By the time we were over Afghanistan, I was hooked. Stumbling into the London streets from Heathrow Airport, I needed to walk into British pyschogeography, which as this collection shows, blends British grittiness and continental influences, creating something vital. James D. Sidaway, National University of Singapore. A bumper compendium, bubbling with insights and oddments, and a multiplicity of perspectives, Walking Inside Out accentuates the vibrancy of British psychogeography, its varied theories, walking styles, pathways, motivations. It will inspire you to stride out, to wallow in this weird Island, looking askance at its incongruities, vestiges, banalities, security apparatus, rural idylls, shabby seafronts, and the less trodden ways. Tim Edensor, Cultural Geographer, Manchester Metropolitan University. Walking Inside Out is more than a history of British psychogeography: it is a compelling drift through the conceptual space of the discipline as practised in the contemporary cultural and social situation. 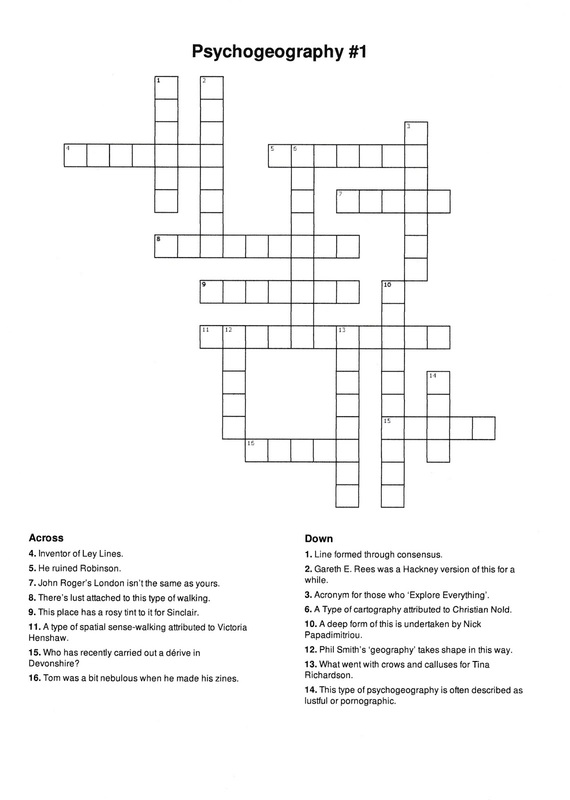 It points to psychogeography’s possible futures in all their theoretical complexity, playful subversiveness, political and therapeutical potential. An essential addition to the growing corpus of psychogeographical literature. James Lawrence, Writer, poet and translator. Located on the periphery of the campus, on Woodhouse Lane, the building cost £27.5 million. It was designed by the architects ADP and built by Shepherd Construction (who also carried out the work on the Marjorie and Arnold Ziff Building). 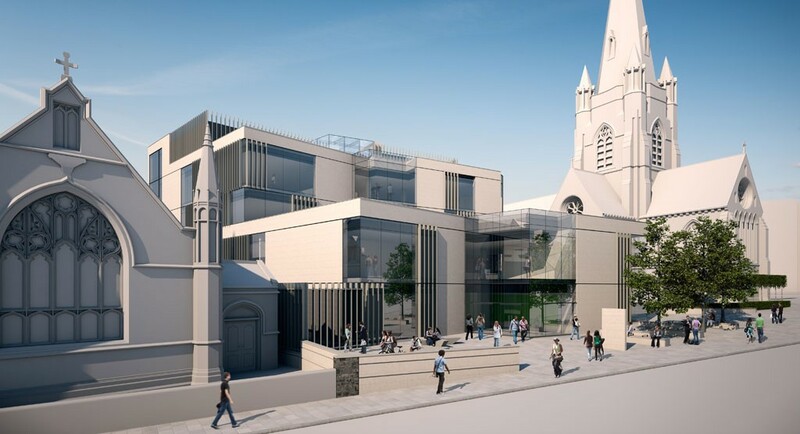 It is located between two church buildings in an area that was mostly made up of a university visitors’ car park. Trinity Congregational Church is now used as a nightclub called Halo (and a bar/cafe called the Quilted Lama) and the Emmanuel Church is the University of Leeds chaplaincy and is also used for seminar rooms. The library is also situated within a Conservation Area. Described by the university as “the first city-fronting building that the University has commissioned for over 30 years” and as “a highly sustainable landmark building” (University of Leeds 2013), that it is “city-fronting” might be more an issue of a lack of space elsewhere on campus, rather than any statement to the city concerning its town and gown relationship. However, from the perspective of aesthetics, the vista when travelling from the city up to the university along Woodhouse Lane has now changed. When approaching North up Woodhouse Lane, having just crossed the flyover, the Parkinson Building fills the space straight ahead of you. The buildings leading up to it on the left has previously blended into the background, not least because the church that is the Halo nightclub has not been sandblasted for many years and is covered with the blackened veil of dirt and pollution. 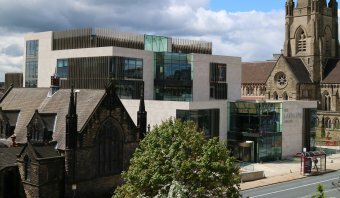 The bright new postmodern glass and steel surface of the new library will stands out in its setting between two churches. While the Ziff Building is not that visible from the main road, the new library can now represent the university to the extent that it is a statement of how much, financially, they are prepared to invest in student learning during the period of higher course fees. It is here that we can see the university’s economic relationship with space (hence the Lefebvre quote above). The discourse around learning is connected directly to neoliberal policy through the use of the term ‘excellence’. Bill Readings discusses the concept of “excellence” and higher education in The University in Ruins (1996). Readings says that it is ‘excellence’ in its manifest bureaucratic forms which is the driving force behind harnessing the university’s function of the past and in postmodernity placing it under the forces of the market (1999: 38): “Like the stock exchange, the University is a point of capital’s self-knowledge, of capital’s ability not just to manage risk or diversity but to extract a surplus value from the management” (1999: 40). 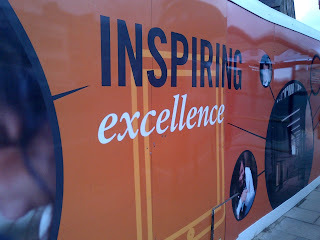 Upon repeated use the language of the university of excellence becomes normalised. You can see the use of the term in the image above as it appeared on the hoardings surrounding the Laidlaw Library while it was under development. But excellence has ideological origins which are needed for it to function within the capitalist system, both within and outside the university. The language that excellence adopts, while serving the purposes of the corporatised university, also has the function of creating a type of abstraction, which removes the output of the system – the data that is promulgated – from not only the material practices that are required to deliver it, but also from the staff who work in the university and produce this data (or are party to producing the data). This discourse, hence, has a spatial extension: the university speaks to those who operate within its campus, and also to those outside it. While it is apparent that the university has a discourse available for interpretation, I would like to suggest, along with Readings, that its historic origins – which still exist in its current posthistoric form, as ruins – enable a reading that might usually be applied to that of urban space. 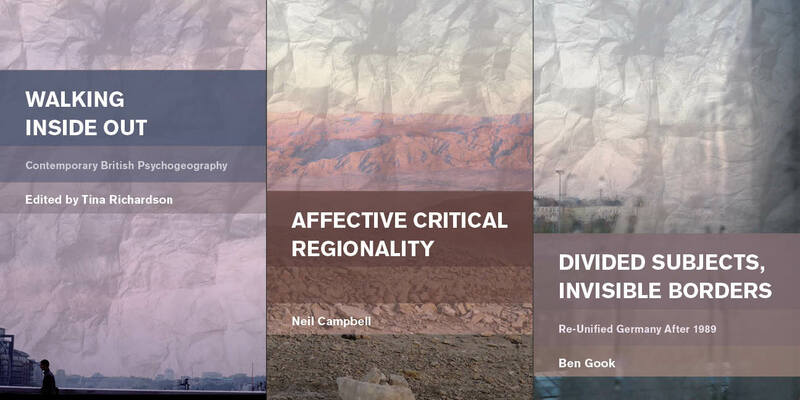 This opens up a space that challenges dominant modes of operating in the institution, abstractly and concretely, and shows that Readings’ motif of negotiating the ruins is already taking place in the campus. The Unseen University: A Schizocartography of a Redbrick.